Nathan Hurst hated Christmas. For the rest of the world, it was a day of joy and celebration; for Nathan it was simply a reminder of the event that destroyed his childhood. But then a snowstorm, a canceled flight, and an unexpected meeting with a young mother and her very special son show him that Christmas is indeed the season of miracles. When Luke graduates from Wharton with his MBA, his father, CEO and co-founder of Fortune 500 Crisp’s Copy Centers, is ready to share some good news: he wants to turn the family business over to his son. But Luke has other plans. Taking control of his trust funds, Luke leaves home to pursue a life of wanton pleasure seeking. But when his funds run out, so do his friends. Humbled and alone, Luke takes a job at one of his father's copy centers. After the death of his mother, Michael Keddington finds employment at the Arcadia nursing home, where he befriends Esther, a reclusive but beautiful elderly woman who lives in mourning for her youth and lost love. "Do you suppose life gives us second chances?" Esther asks Michael one day. "I don't know. But we'd probably just make the same mistake over again," he concludes. Michael faces his own challenges when he loses his greatest love, Faye. 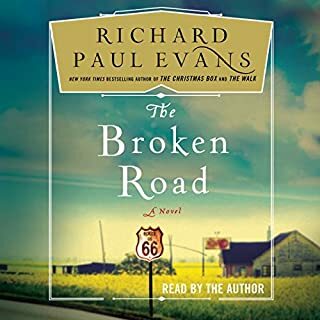 From number-one New York Times best-selling author Richard Paul Evans, the dramatic conclusion in the riveting Broken Road trilogy - a powerful redemption story about finding happiness on a pilgrimage across iconic Route 66. Just a week before their marriage, Christine's fiance calls off the wedding, leaving her heartbroken. With hopes of helping her through a difficult time, Christine's best friend Jessica enrolls them both on a humanitarian mission in Peru, to work at an orphanage called El Girasol, The Sunflower. 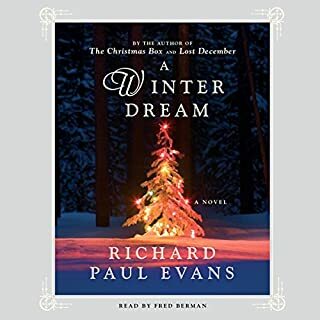 The New York Times best-selling author of The Christmas Box returns with a holiday novel of hope, love, and redemption: "That's what I wanted to share with you, my dear listeners, this Christmas - a holiday tale to warm your season, your homes, and your hearts." A new holiday story from the best-selling master of the Christmas novel. 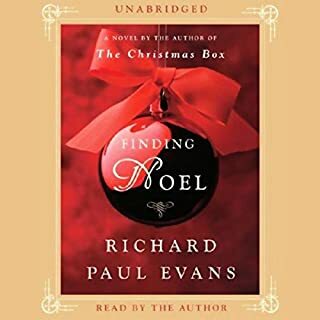 It isn’t Christmas without a Richard Paul Evans novel. 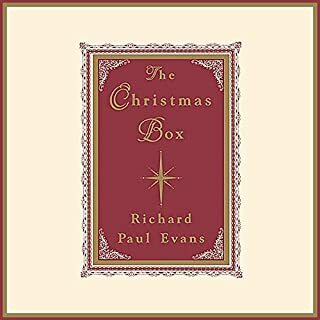 Ever since he wrote the book that inspired the genre, The Christmas Box, his best-selling holiday stories have become a beloved literary tradition. 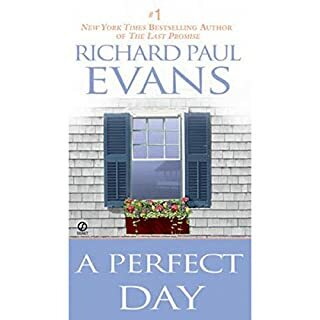 As the New York Journal of Books wrote, "Richard Paul Evans has proven to be one of America’s most precious gifts… an inspirational writer who has the ability to read our very souls and heal broken hearts… His books are the ones you can’t wait to finish, but when you do, you wish you hadn’t." ©2014 Richard Paul Evans. All rights reserved. (P)2014 2014 Simon & Schuster, Inc. All rights reserved. Enjoyed this novel very much. I was searching for a Christmas story and decided on this. Not exactly what I was looking for but so glad l did listen to this one. A lesson can be learned by all. 2nd time through. Love the story. It's more than a love story. Very enjoyable listening. I'm a murder / crime mystery junky... But after my last book, "Invisible" (which was GREAT and a little disturbing lol) I wanted something light and fun for the holiday... and to frankly remind me how much good still exist in the world. This didn't disappoint. 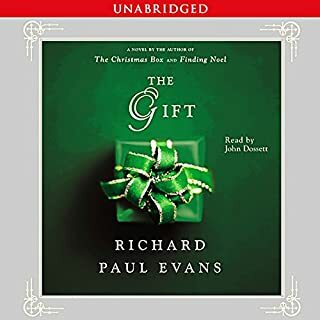 I finished it while cleaning and making Christmas cookies and decided I'll make listening to an Evan's novel a new holiday tradition. It's typical Hallmark Chanel stuff... a little better actually; that's why the loss of a star. I wanted fluff though and this fit the bill. I LOVE novels read by January. Most of my favorite authors, Patterson, Roberts... have at least one recorded by her. I found this after doing a search for things read by her when I was at a loss for something new and different from my usuals. Of course she didn't disappoint eather. She and a good story gives the written word lungs and a strong heartbeat. I loved this book from the get-go. Some of the Christmas books I've been listening to have been kind of flat. This one was good!! Good story, good characters. I was hooked after only a few minutes of listening. Easy listen. Nice heartfelt story, made me tear up a few times. I am o. to read the next story in this series. What made the experience of listening to The Mistletoe Promise the most enjoyable? The story kept your attention the entire time, but also, January is one of my all time favorite narrators and she does a great job with capturing the personalities and situations absolutely perfect. Probably the ending. I'm a sucker for a happy ending. The cinderella piece that was waiting on for her return from their honeymoon had me crying while sipping my coffee. I really appreciated that the author had his sister come to the wedding to give Nicholas forgiveness with even more hope that eventually his family would come around. I loved that their baby was due the same month that her sweet baby hannah was born. So many favorites. Only once you truly forgive yourself, do you open your heart up to the good thing the world has to offer you. Perfect christmas story. Now I will go buy another of his books to indulge myself in during this holiday season. Richard Evans never fails to show that love conquers all obstacles. I always choose a Mistletoe book to listen to in plane trips and I always end up smiling even in the midst of airport chaos. Loved this book. A wonderful story of restoration and forgiveness. What did you love best about The Mistletoe Promise? What's there not to love? My favorite author together with my favorite narrator. Wonderful work. 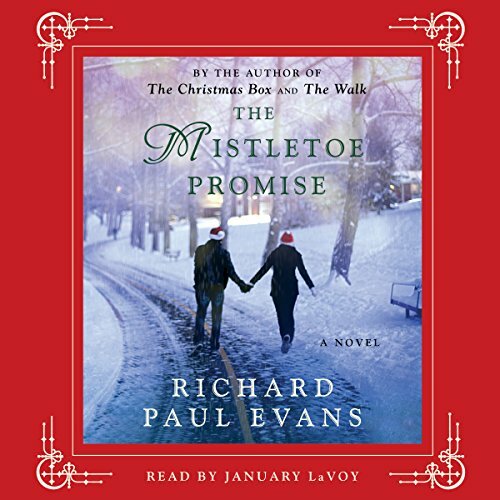 What other book might you compare The Mistletoe Promise to and why? I thought that the female protagonist reminded me of the book 'Promise Me' by Richard Paul Evans also. Enjoy the heartwarming book next to a firer instead of on your device for best results. Lol. I Just did not like the performance!